ATHENS, Ga. – The No. 13 Georgia football team returned to the Woodruff Practice Fields after the conclusion of final exams on Wednesday night with a two-hour practice in full pads. The Bulldogs (9-3, 6-2 SEC) will take on No. 21 Louisville (9-3, 5-3 ACC) in the Belk Bowl at Bank of America Stadium in Charlotte, N.C. on Tuesday, Dec. 30. Wednesday night’s practice was the first of four consecutive workouts that the Bulldogs will hold before a three-day break for the holidays. The team will depart for Charlotte on Dec. 24 where they will continue preparations for Louisville. Head coach Mark Richt and selected players took part in Georgia’s weekly press conference earlier in the day to discuss the matchup with Louisville. 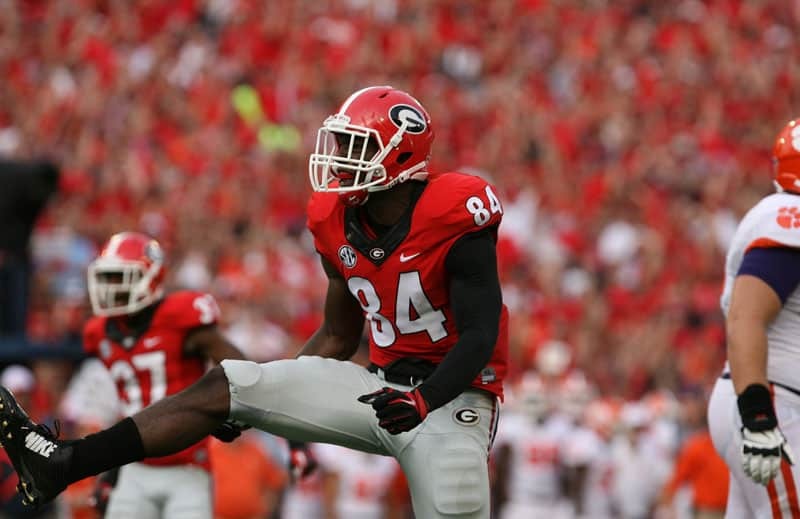 During Wednesday’s press conference, Richt announced that sophomore OLB Leonard Floyd underwent shoulder surgery and will not be available for the bowl game. The Bulldogs are making their 50th bowl game appearance, and 17th consecutive. Georgia dropped to 27-19-3 all time in bowl games after suffering a 24-19 loss to Nebraska in last year’s Gator Bowl. This will be Georgia’s first ever meeting with Louisville on the gridiron, and will also pit the Bulldogs against former defensive coordinator Todd Grantham. Georgia enters the matchup boasting the SEC’s highest scoring offense, averaging 41.7 points per game. Louisville ranks tied for third in the ACC in scoring defense, allowing 20.5 points per game, and second in the ACC in total defense, allowing 293.2 total yards per game. The 2014 Belk Bowl will kick off at 6:30 p.m. and will be televised on ESPN.